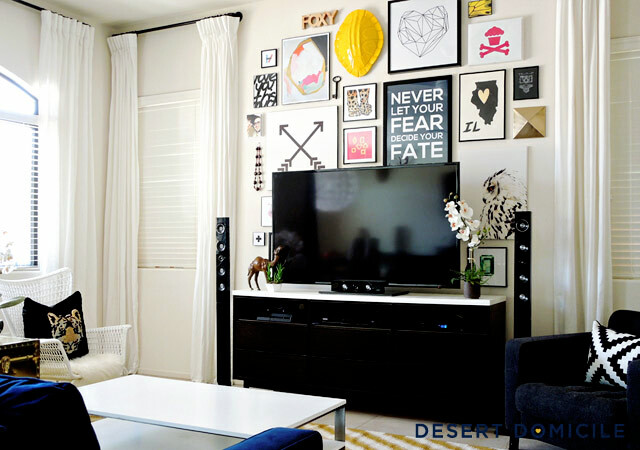 Let's start with our living room, specifically the gallery wall around our TV. The room looked a little something like this a few months after we moved in back in 2012. We'll be making a few more changes to it in the new year! Let's move onto our loft! Here's what our loft looks like today! 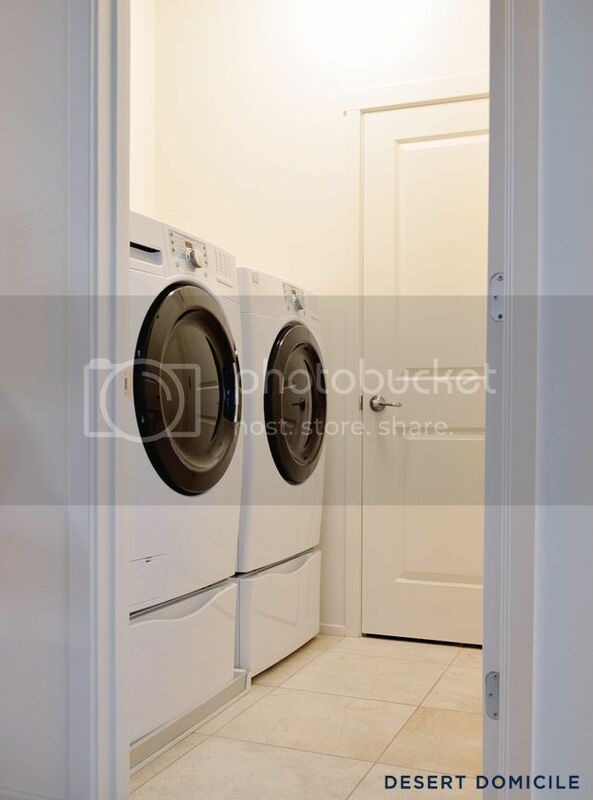 Last but not least, our laundry room! Here's what it looks like today! The makeover is actually still in progress (I swear I'm going to finish it before 2015...I hope) so this isn't a true after but the room has come a long way so I'm counting it! What was your favorite makeover from 2014? they are all SOOOOOO GOOD. I love the living room transformation most, it's so welcoming and I could absolutely hang out in there. 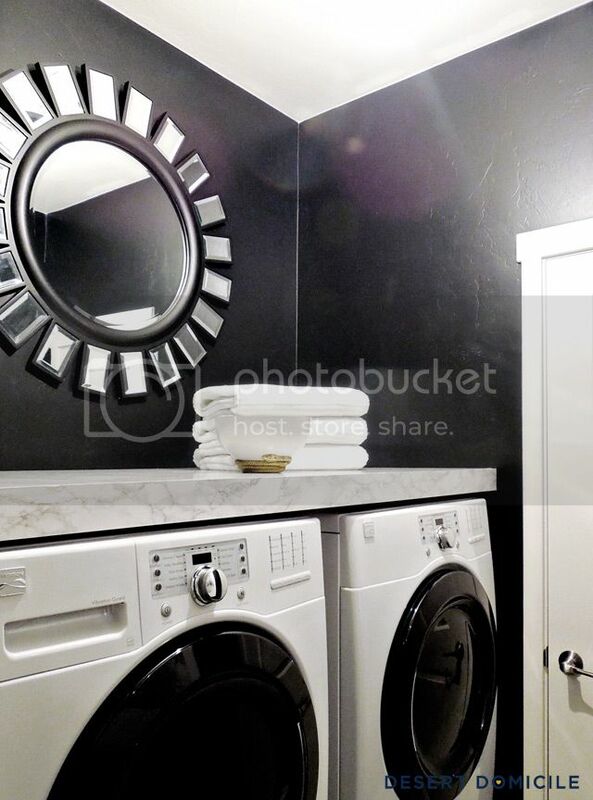 But the wall color in the laundry room is beautiful! 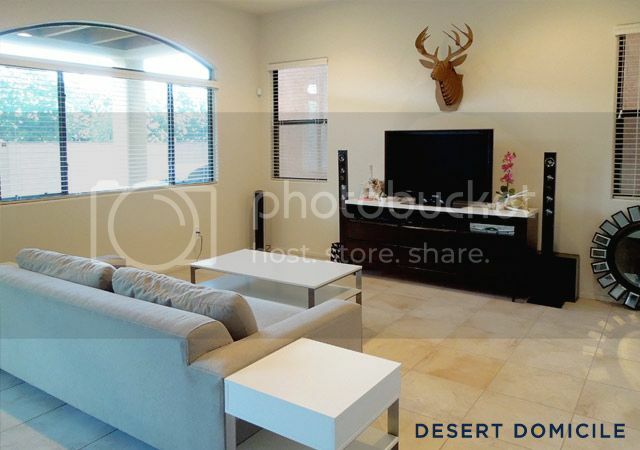 I cannot believe the difference in your living room! Hot dang!!! Your home is truly a stylish place! You have done so much in a short amount of time! It all looks great. This gives me hope for our home. I hope we make this much progress in the next two years! Just incredible! 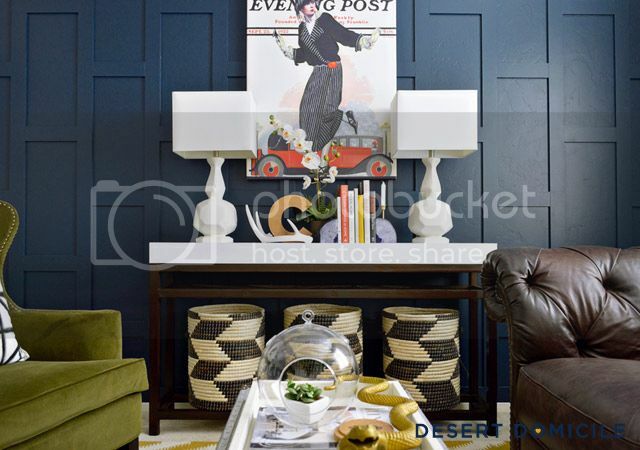 I just can't choose a favorite between the living room (that gallery wall!) and the loft (that wainscoting!) - so I'll take both. Do you deliver? ;) Congratulations on accomplishing such amazing transformations girl!!! Is the counter in the laundry room stone or is it the same marble contact paper from the bar cart? Either way it looks amazing! Love looking at before and afters and these are so awesome and dramatic. You always proof the power of layering decor. So talented my friend. Such a great round up of your projects! I'm working on my 2014 "Best of" post and it made me so happy to see all the differences and improvements...sometimes it feels like nothing is happening, haha! 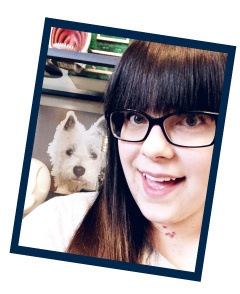 I love all your makeovers but I am partial to the DIY Challenge...love your wall!!! Wow! You had a huge makeover year!! You had so many great projects that really came together for incredible rooms! Can't wait to see what 2015 holds for you!